Texas Governor Greg Abbott called upon the State’s higher education officials to conduct a review of safety protocols in place at community colleges and universities. Abbott directed Paredes to take “immediate steps to ensure that college campuses in Texas are safe.” The higher education coordinating board provides leadership and coordination for the Texas higher education system. It was created by the state legislature in 1965. The governor created a timetable and outlined a list of action items for the coordinating board to champion to help Texas colleges better respond to and prevent such tragedies. 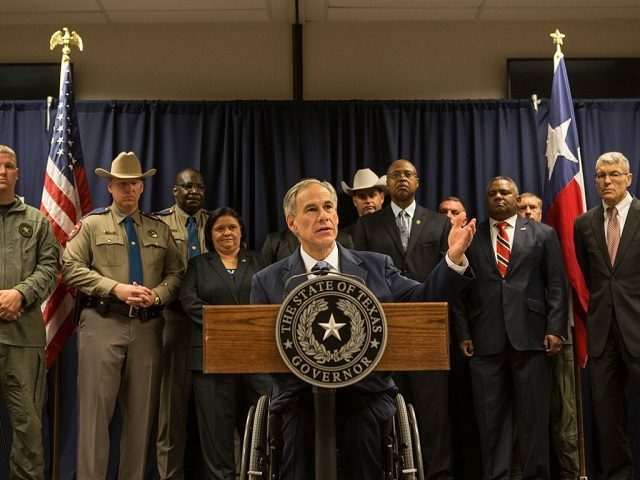 Among them, Abbott said he wanted to make sure public junior college districts completed all required safety and security audits, including satisfactory multi-hazard emergency operation plans. Abbott tasked the coordinating board with ensuring these safety and security audits get submitted in a timely manner to the Texas School Safety Center, a Texas State University research clearinghouse for school safety information. The center provides training, resources, and technical support to schools on disaster preparedness, school shootings, and other emergency operation plans. The governor’s letter also charged the coordinating board with cataloguing all available data on college campus safety compiled by the Texas School Safety Center. It instructs the THECB to share this information with public junior college districts, universities, plus private and proprietary institutions of higher learning. State law requires schools to provide this information. Abbott directed Paredes and the coodinating board to make sure that public junior college districts make acceptable progress towards completion of their statutorily required safety and security audits that are due to the Texas School Safety Center on September 15, 2018. Schools that fail to provide sufficient plans will get 45 days to satisfy these requirements. However, the THECB will publish online and in a press release the names of public colleges that do not comply. Lastly, Abbott asked Paredes to work with the Texas School Safety Center, the Department of Public Safety, and the Governor’s office to draft policy recommendations for the state’s next legislative session in 2019 on how to better keep students safe on college campuses. The governor suggested several ideas such as required reporting procedures that colleges must follow when they receive terroristic, or other threats, as well as provisions for students and parental notification. “We must act expeditiously and prudently to ensure that colleges campuses are safe places to study, work, and live,” wrote Abbott. He indicated the state will continue to evaluate and improve its approaches to ensure college students remain safe. Last week, the governor ordered Texas Education Commissioner Mike Morath to shore up safety measures for the state’s roughly 1,200 K-12 public school districts and charter schools in a similar list of action items, as Breitbart Texas reported.